I loved this book! I was so taken in by the subject matter that I probably wasn't much of a critic of the performance or the technical aspects of the writing. 9/11 was a foundational event that created the world as it exists today and rearranged the psyches of most Americans. I'd never given much thought to the fates of those who were shunted off to strange places by the grounding of all air traffic in the United States. 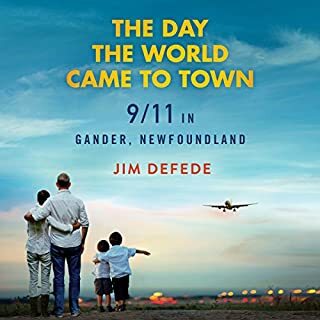 Now I know that in at least one place, Gander, Newfoundland, the displaced--Americans, a wide swath of Europeans, and those from even more far-flung places--the local people treated these strangers like family, inviting them into their homes, feeding them, and ensuring that all their needs were met. I was especially glad to listen to the parts of the book that dealt with how the animals in the cargo hold were handled. That was something that I, as an animal lover and rescuer, had worried about after 9/11, when planes were on the ground all over the world. It was heartening to hear that the dogs, cats, and even more unusual creatures were lovingly tended until the emergency was over and they could get on their way to the United States. I'd always believed good things about Canadians, and now I know them to be true. I couldn't put it down once I got going. I've listened to it and read it on Kindle, and I preferred hearing it. 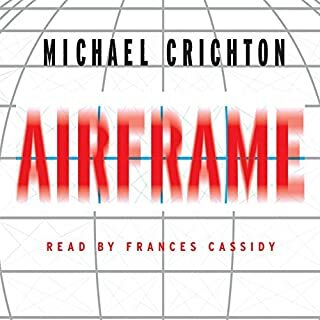 The narrator does a great job, even with short stretches of unusual accents. 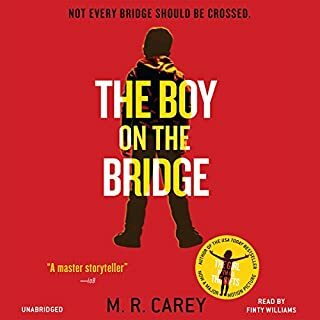 Some of the other reviews I've read said that the book started slowly, but it sucked me in right away. There are some plot twists I never saw coming; others I suspected were in the making. This may be the first of a series since it leaves a lot of questions about the world it posits unanswered. 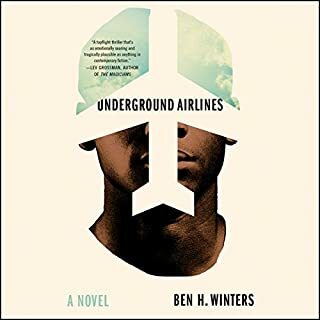 Seeing the racial divide that exists in our own country, I've been especially interested in books about racial divisions or those between the genders. Mostly speculative fiction, as what I know about my own country as it is right now is too depressing to want to read books about what is. I prefer what-could-be. I'm calling it quits about halfway through. Crighton is an interesting author--some of his books are superb and some are a struggle just to get through. This one, IMHO, falls into the second category. The plot started off OK, with the right amount of suspense, but quickly deteriorated into a formulaic plot of the kind that a computer could write. While evil corporation-plucky hero, or heroine, can make for a good story, there's just way too much of it out there right now, and lacking some kind of entertaining twist, it becomes boring and preachy pretty early on. One thing Crichton does very well, and he does it well in this book, is getting the scientific details down. Since I know airplane-building not one bit, the science could be all wrong, but I'm going to guess that the author, or one of his researchers, actually did a lot of research into what goes into manufacturing a plane, and that the science is correct. There's a fine line between so much detail that it leaves the story dry and not enough, or not done well enough, which makes for a story that feels false. Crighton is still a master of finding that line and remaining spot-on, including in this book. The narration was OK but not great. I personally prefer male narrators for the work of male authors, but I do give the author kudos for his inclusion of strong female characters. In conclusion, it's a technically good book that just didn't set me on fire enough to finish. Since I bought it, I can always try again later. This book defies categorization. A big part of it involved the sport of freediving and the author's attempts to learn and participate in it. That alone would have filled an entire book, considering how few of us have ever even heard of the sport. Men and women hold their breath and compete to see how deep they can dive in the ocean on a single breath. I'd never heard of it, and it sounds like a crazy way to spend one's time. Add in an immense amount of research on the ocean, whales and dolphins, and the life forms that have just been discovered in the deepest sports in the ocean, with the author often going along on research trips to places that most have never heard of, and that's another entire volume. 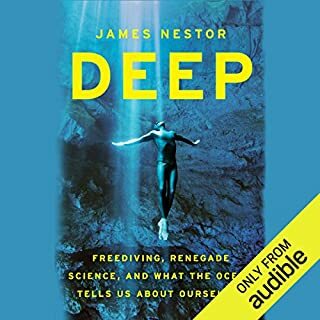 Still, it blends in together with the freediving, and the author's descriptions of his personal thoughts regarding the ocean and our connection to it and makes a coherent total. As a supporter of the group Sea Shepherd, I was heartened to hear that there are groups working to save and learn more about the whales and dolphins. We can't afford to just wipe out life forms before we understand how we relate to them, but that's exactly what we are doing. 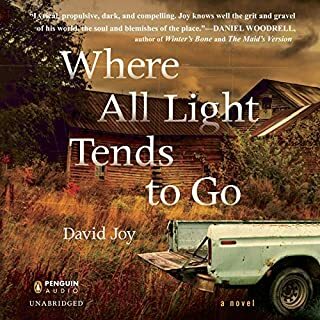 One last quick comment--I don't usually enjoy authors narrating their own books, but in this case it worked quite well. The author did the French accents of some of the characters quite well, especially for someone not a professional voice actor. Deep in hillbilly country, where the law is always the enemy, blood is thicker than water, and getting out seems impossible, the future is dark for everyone. The only real change that has occurred for decades, if not centuries, is the illegal substance manufactured in illegal factories hidden amidst the timber is no longer moonshine but methamphetamine. Jacob McNeely's father is the methamphetamine cook and supplier, and Jacob has dropped out of high school to work for him. His father leads him on with a story of a safe in which Jacob's earnings sit safely, waiting for the day when his father will pull out that money, thousands of dollars is Jacob's cut for helping his father for years. The problem is, though, that he loves his high school sweetheart, who is getting out with the help of a scholarship to college. She is pretty and smart and Jacob knows she could do better than him. She loves him anyway, and wants him to come with her. All he needs is for his father to finally pay him off. The story takes a number of twists and turns, some of which I did not see coming. Jacob is horribly betrayed by a man he has put his trust into. There is a great deal of violence in the book, but it all makes sense within the methamphetamine-hillbilly-criminal context. The plot moves right along to a climax that was as unexpected as it was inevitable. I couldn't put it down, and listened to it pretty much in one sitting. The narrator was excellent as well. I thought he did well with the particular accent native to that area. Other than that, he melted into the story, which is what good narrators do. This book is not for the faint of heart, and the violence is ugly and graphic, but certainly believable. I gave it a 5 out of 5 across the board, and will be looking for both this narrator and author again. History of the US Coast Guard. If you've seen the movie and liked it, you'll probably like the book. If you thought the movie left out a lot of detail, you are correct, and most of that is in this book. 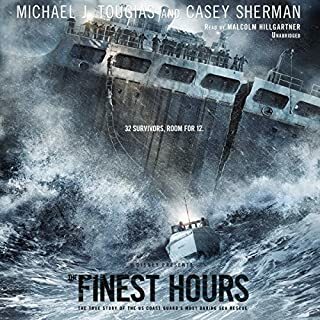 The history of the Coast Guard was detailed, the actual rescue was explained and described much more thoroughly than in the movie--although it was more exciting to watch than listen to, IMO. In places I was overwhelmed with the amount of technical information, about the different boats used, the sea conditions, the engine specs, etc. It made some parts of the book drag for me, although some people would be more interested because of it. I liked the narrator, who did a smooth job. He only had to do a couple of accents, but he seemed to do them well. I was a little surprised that the Cape Cod and Chattam characters didn't have accents for the most part, but the narrator mostly described them, rather than spoke in their voices, so it may have not been necessary. Very solid if you like adventure and/or the sea, who is most definitely a character of her--I think the sea is spoken of as female, just as ships are--own. Not TGWATG, but pretty close. An enjoyable listen. I almost didn't buy this one, due to the reviews being almost uniformly negative. I liked TGWATG so much, though, that I gave it a shot, and was pleasantly surprised. 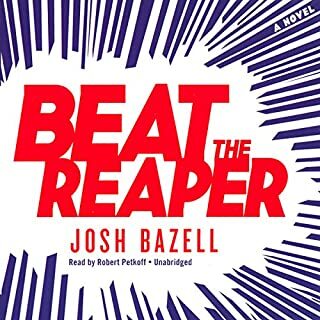 There are so many books, audiobooks, movies, and television shows that are so similar in premise that it feels like some computer is punching them out, and the zombie genre is one of the worst. So when I find a book that begins on that premise, but turns out to have quite a different plot, I enjoy it. This ties in with the Girl with All the Gifts quite well, I though. The performance by Finty Williams was excellent, just as it was in the previous book. Hope to hear more from her. My headline's a bit of a cheat, as defining this book as crime fiction is a little unfair. It's much more than that. The lead character Peter--AKA Pietro--works as an ER doc, but with a secret; actually a plethora of secrets. It's a page-turner, as opposed to a literary masterpiece, which is how I prefer audiobooks. The author's writing style is reminiscent of Don Winslow's earlier stuff, or Elmore Leonard, or perhaps Chuck Palahniuk. I also loved the narrator, Robert Petkoff, who I had never heard of. Whoever made the decision to match this particular narrator with this particular story made an excellent choice. 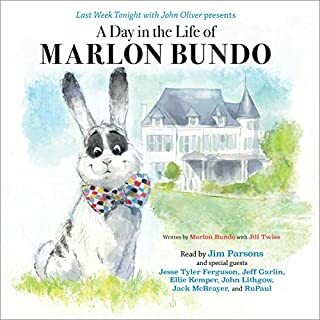 Poorly matched narrator-story combos are a bit like ordering carrot cake and getting spice cake with a couple of carrot shavings and plain vanilla icing, while great ones are like ordering a slice of carrot cake and getting the real deal--a piece of actual carrot cake, with thick cream cheese frosting. Slow Start--But Stick With It! What to say? First, I got this because I loved The Girl with All the Gifts, but was also interested in the subject matter. I've been an activist against prison privatization in the US for many years, and had no idea the UK had private lockups, so thought it would be interesting from that standpoint as well. The beginning dragged, though, and I almost put the book down several times. 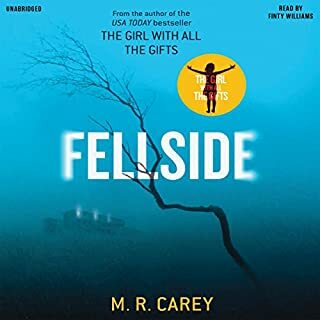 Eventually I was glad I had stuck it out, though, as there were some unexpected plot twists and turns from about halfway all the way till the end that redeemed the story. A couple of times I had to stop and back up to catch something that had almost sneaked by me. I won't give away the end, but suffice it to say there were twists that I never saw coming, and some that even though I did see them coming, were done well enough to remain totally entertaining. I was going to say that &quot;it wasn't any TGWALG,&quot; which would be true. But standing on its' own merits, it doesn't have to be. It's a good read in and of itself, and I'm glad I didn't quit early on. As for the narration, I liked Finty Williams, for the most part. She didn't seem to do much with male voices, but there really wasn't all that much dialogue from the male characters, and in general I found her voice very pleasant. I don't always enjoy female narrators because my hearing is sensitive to higher-pitched voices and sometimes they grate on my ears. She didn't at all, and for the most part, did a fine job. Altogether, a solid four stars across the board. Since I reserve five stars for the truly exceptional, this is as good as it gets for me. Thumbs up.